This example shows the operation of an AC-DC-AC converter. A 60 Hz, voltage source feeds a 50 Hz, 50 kW load through an AC-DC-AC converter. The 600V, 60 Hz voltage obtained at the secondary of the Wye/Delta transformer is first rectified by a six pulse diode bridge. The filtered DC voltage is applied to an IGBT two-level inverter generating 50 Hz. 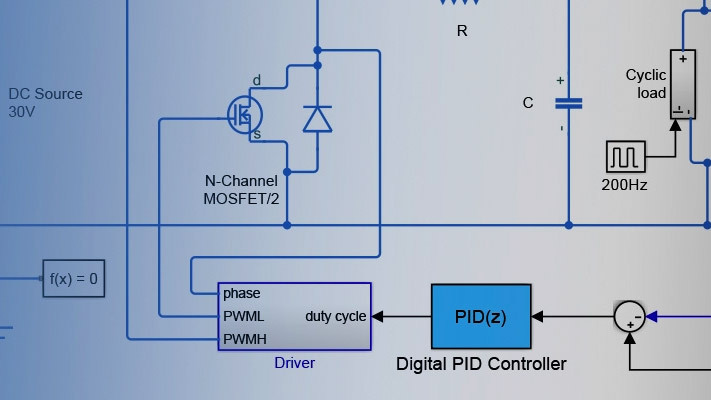 The IGBT inverter uses Pulse Width Modulation (PWM) at a 2 kHz carrier frequency. The circuit is discretized at a sample time of 4 us.